During my research of Baybayin (ancient Filipino script) I ran into ancient Filipino poetry which fascinated me! While information is scarce on the internet on this subject matter— primary sources are even scarcer. What I did manage to find was a certain Dutch anthropologist, Antoon Postma, who did significant research into Filipino poetry. He lived amongst and married into the Hanunoo, a Mangyan sub-tribe in the island of Mindoro in the Philippines. 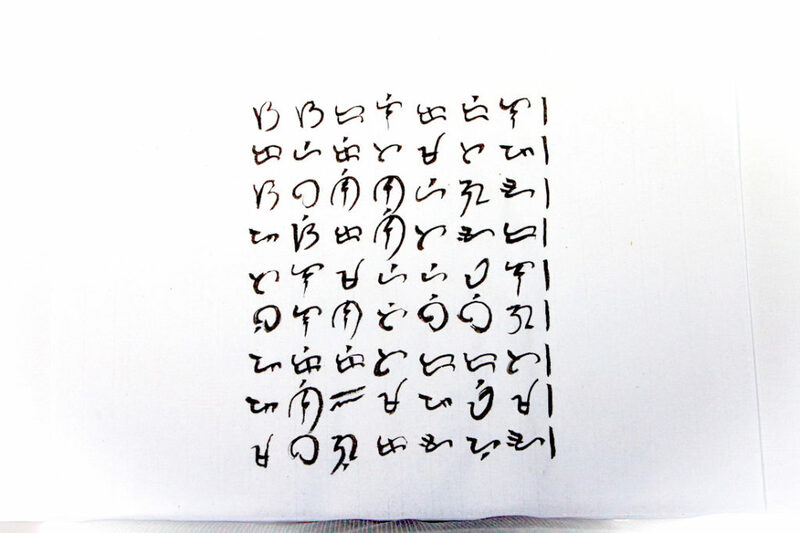 He most famously deciphered the Laguna Copperplate Inscription and did further work documenting the Hanunoo script (which is related to Baybayin) that the Mangyan people still use in the Philippines today. The ambahan is a traditional poetic form of the Hanunoo Mangyans. Antoon Postma recorded hundreds of these poems— many of which were about nature, life and death, love and relationships. Hanunoo Mangyans would memorize and create ambahans according to their own age level. Children would memorize ambahans fit for children but would use ambahans appropriate for an adult when they grew up and married. 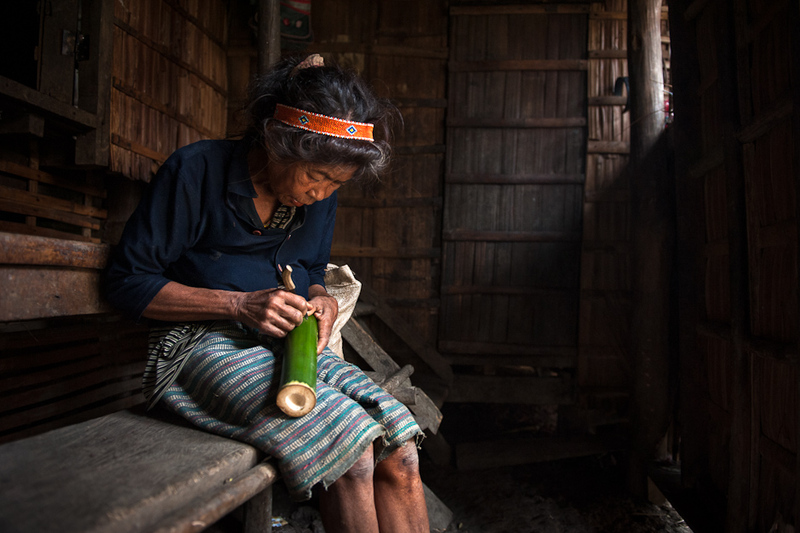 Even the elderly have ambahans to share the experiences of old age and death. Chanted or recited in social circles: During social gatherings (ie. festivals, burials) people would compete with each other in reciting ambahans appropriate for the occasion. People would intently listen, laugh, and cheer the informal contest of wit into the deep night. 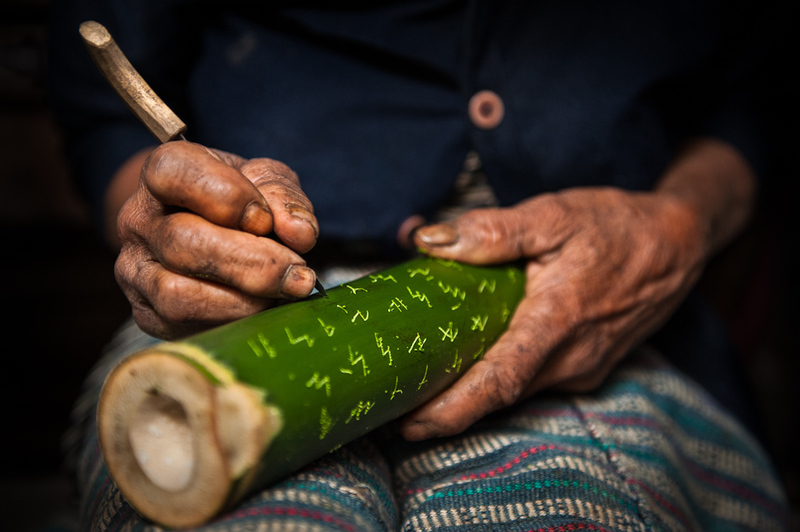 Inscribed on bamboo tubes or slates to be sent as letters to their recipient: A person would write the ambahan, leave it on the side of the road, and a passerby would bring it as close to the destination as possible. This would take as many people as necessary to get to the recipient. Anecdotally, they say that a village had no secrets and a lover’s love letter was an enamor already well known! Like the Tanaga, each line of the ambahan contained seven syllables. Length is variable— from a few line to a dozen or so. I could not find a full online text of Postma’s collection of ambahans. However, I did find some examples on a few websites that had the English and Tagalog translations of the Hanunoo-Mangyan language. Of what I saw— beautiful, humble poems of haiku-like imagery and Dickinson-like simplicity. 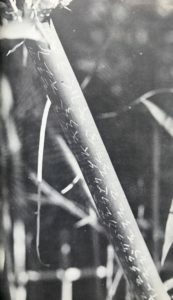 Photo of bamboo writing from Postma’s “Treasure of a Minority” 1972, p. 57. One of the ambahans struck me as so creative I decided to exercise my calligraphy with it— featured below. 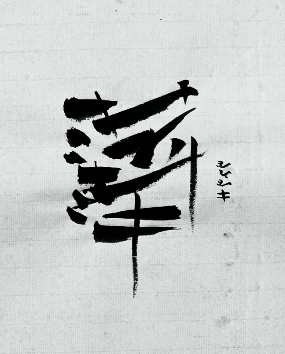 Of note, this would traditionally be done in Hanunoo script, not Baybayin. I’ll be posting more Baybayin calligraphy as I learn more. Moreover, I am looking into ways I can incorporate medicine and health into this! One Response to "Ambahan Poetry"
thank you for helping me to understand more about Ambahan poetry.